Susan Kneebone is an Associate Professor in the Law Faculty of Monash University where she teaches Citizenship and Migration Law and International Refugee Law and Practice. 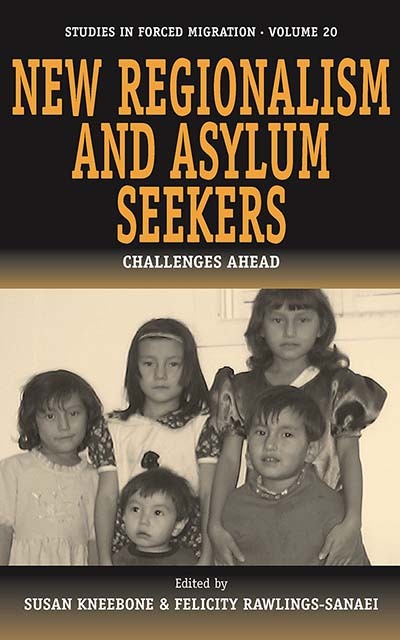 In May 2003 she was a Senior Visiting Research Fellow at the Refugee Studies Centre in Oxford. Felicity Rawlings-Sanaei is a Research Fellow at the Monash Institute for the Study of Global Movements, Monash University. What is the migration–asylum nexus? What do we mean by Europe? How does Europe relate to the Refugees Convention refugee ‘policy regime’? What distinctions are there in national refugee policies across Europe? The European level: a Europeanized refugee policy? The future: a Europeanized refugee policy? Chapter 5. Europeanization of Citizenship and Asylum Policy: a Case Study of the U.K.
EU laws and policies and the impact of such on the situation of asylum in the U.K. Towards ‘new’ African regime(s) for migration at the start of the twenty-first century?